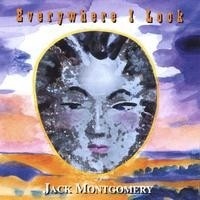 Everywhere I Look by Jack Montgomery – a truly impressionable cd, the 1st song “ Next to You” quickly became my new love song. This collaboration of songs contains every genre from country, Celtic, folk rock, the blues to even a love song. You can’t help but even do a little toe tapping. I was very impressed with Mr. Montgomery’s Roots of Oak, and his song Reflection will definitely make you stop and think and appreciate what you have in life right now. For those of you who enjoy folk music with a twist this is a must have. He has a smooth voice that at first I couldn’t quite place until I heard Little Match Girl and I thought of Neil Diamond. I know Celtic and Jewish, but the Croon is still there. What can I say I am showing my age Jack Montgomery has a glorious voice to listen to and the talent to writes the songs to sing with it? 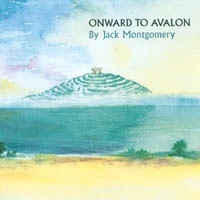 Onward To Avalon by Jack Montgomery – is a collection of magical and mythical songs with an over whelming passion of telling a spiritual story through a Celtic and folk music. Jack Montgomery has out done himself with this 1-hour cd. No matter how many times I listen to it I am swept away by it. My favorite songs “Isis” and “Sea of Forgetfulness” are amazing, with the rest telling a story each in its own right being worth it weight in gold as well. This cd is a must for a car trip or maybe for a small house party as background music.